SABIT makes clothes one by one from design to pattern making to sewing to introducing to the world. It's a hand tailored and slow procedure, which makes it special. Sabit Is a Japanese-style streetwear brand producing bespoke clothing and one-off items. Celebrities such as Swizz Beatz, Ludacris and Lil Wayne have been wearing the Sabit brand. 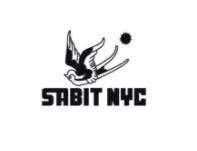 Sabit NYC used to have a store on the Lower East Side called Sabit The Shopp which was based at 43 Clinton St. Unfortunately it had to close down due to low footfall and apartment developments in the area. "Tanoshinde" - a Japanese word meaning ENJOY. Tanoshinde your life with SABIT.